More than halfway through the month and sharing goals? Sounds about right around here ;) January is off to a roaring start, and it's is actually about to slide in for a finish next week, how crazy is that?! Between jumping back online and kicking off the second semester at school, I'm taking complete advantage of labeling January a GRACE MONTH to get my feet wet and establish a routine. I'm currently in Galveston for a theatre convention with teachers from across Texas, enjoying the sun and view of the beach -though it's still a crisp 60 degrees out- AND (drum roll please) I'm posting just in time to go BACK offline for a few weeks. I know, I know. Just stick with me. One thing I haven't shared much about online is the discipleship school I am attending this year, and when I signed up I knew there would come a time for a media fast. Honestly, I'd been hoping it would happen in the fall when I was already offline, but no such luck ;) Starting tomorrow, Friday, January 26th, we'll be offline and away from media (Netflix, movies, any music other than worship music, etc) until February 15th. They've also encouraged us only to check our phones once in the morning, once midday, and once in the evening. To say it is going to be a challenge would be an understatement. But I'm bringing you in on this with me to ask for prayers and understanding; I've loved jumping back online and connecting, but I can already feel the overwhelm of old tendencies, so I'm actually grateful we are taking this break again. And I am hoping to pray into and pursue breakthrough over the next three weeks for a few areas of my life, particularly physical health and financial responsibilities, my two primary goals for the year. Will you join me? Go to NYC on a Field Trip. Check! It was a blast! Go to the Texas Educational Theatre Association Festival. Check! I'm actually here now! Direct our One Act Play well. Check! We are ahead of schedule, and I'm so thankful! Budget in Every Dollar. Mmmmm... not so much, but I'm working on February's. Study Prayer using the Give Me Jesus Journal. Check! I'm LOVING this journal so far! Research & implement ketogenic eating. Ehhh.. yes and no. But not consistently enough to count. Prep for the 3rd 6 weeks of school (all lesson plans submitted). Check! Done and done! Arrange all spring field trips. So close! I'd say this one is halfway done! Work out at Orange Theory at least three times. Nope. I actually froze my account for the time being. Discipleship school reading (book & Bible). 3/4 weeks so far! Eat out MAX one time. Haha... well... not quite. Meal prep/plan on Sundays. 2/4 weeks it's been successful! Planning to do so this weekend, too. Attend church, lifegroup, and discipleship with JOY. Yes! It's been so good to be back! Read/finish at least one book. Yep, yep, yep! Five books in 4 weeks! Zero dollar day (no spending). As far as daily goals go, the only ones I've been hitting consistently are "In the Word" (not always first sadly) and reading for fun. The others are certainly works in progress. What about y'all? What did you make happen in January? And what are your plans for next month? I am not a gardener. I never have been, and I don't know that I intend to be. I think the issue is that I don't like to get my hands dirty, and maybe that says more about me than I realize ;) My grandfather had a garden, and I remember perching against the fence while my sister dug holes in the red dirt to play in, fresh grown corn and tomatoes sprawling in the background. But gardening was never for me. I'm more the kind to wander a farmer's market and admire someone else's blooms, paying the $5-$20 to enjoy those blooms in my own home, rather than to take the time to tend to my own plot of land and wait, wait, wait for the harvest to come. Last year Lara Casey, one of my role models, published Cultivate: A Grace Filled Guide to Growing an Intentional Life and I promptly picked it up off the shelf, read three chapters, then lost it in the flurry of beginning the new year. 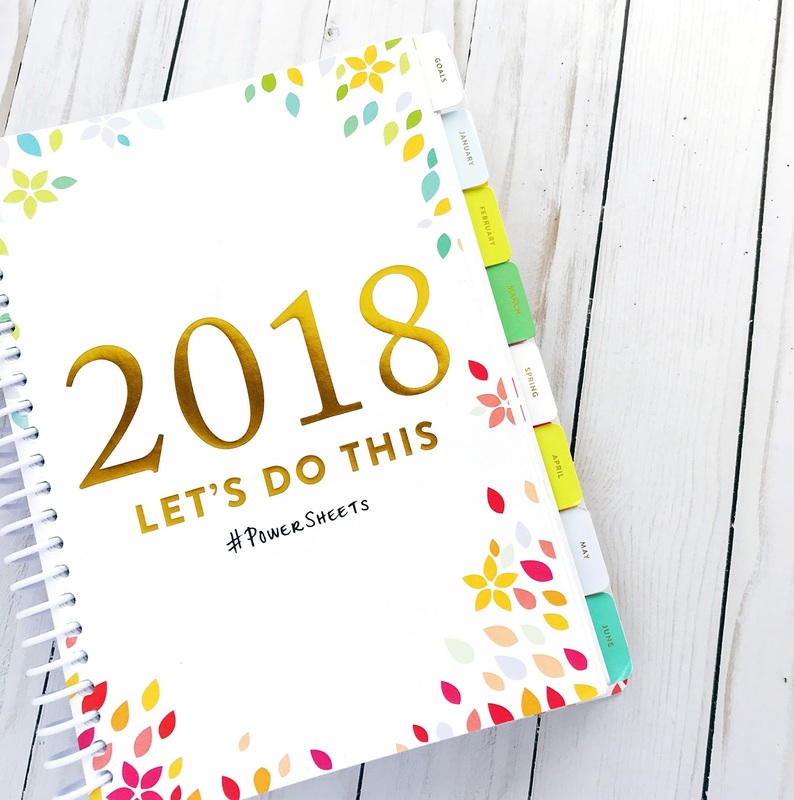 I picked it back up again in December and decided to dig into it -alongside my beloved Powersheets- to plan 2018, and it has made all the difference! 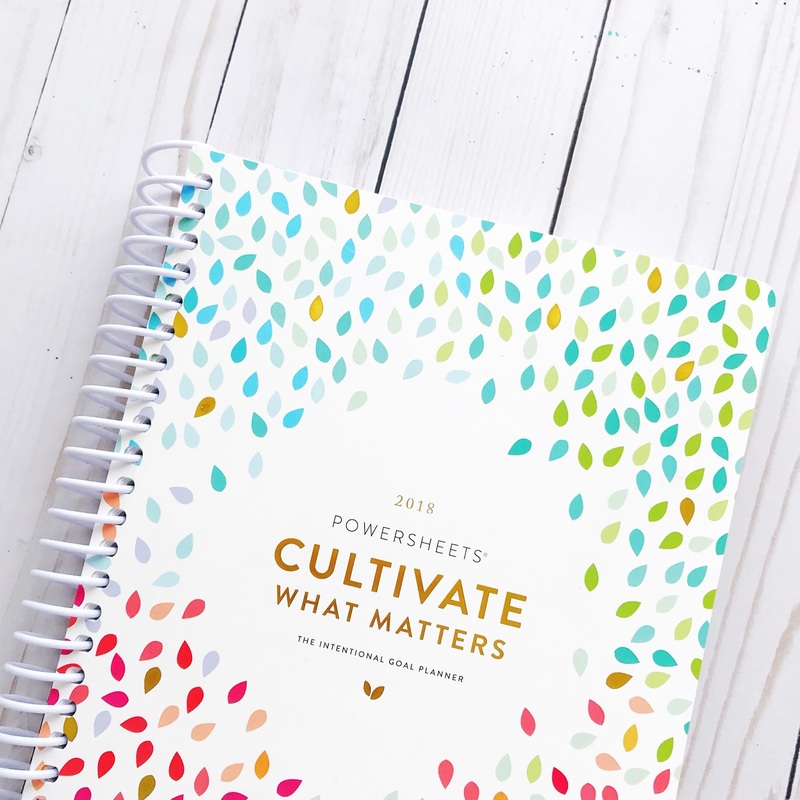 *The yearly workbooks pictured above are sold out, BUT you can still sang your own PowerSheets HERE! Truth be told, I wrote this post twice. Once with 8 major goals and then, after a few chats with friends and working through the Goal Setting Series on Lara's site, I narrowed it down to three. THREE goals for 2018. It felt pretty scary at first but now it feels oh so good. 1. Cultivate STRENGTH. The dictionary definition of strength includes "the quality or state of being strong; bodily or muscular power; mental power, force, or vigor; an inherent capacity to manifest energy, endure, and resist." In 2018, I want to make positive changes to my physical health and tend to some unhealthy habits and thought patterns. This one is #1 because progress here will set me up for success in years to come, and it will allow me to say a ready yes to opportunities and dreams that God brings along the way. I also want to strengthen my heart in the Word and by spending daily time in His presence and prayer. + dedicating daily time to prayer, scripture, and seeking God. + implementing a sustainable, healthy way of eating. + committing to an active lifestyle. + take 100 Orange Theory classes in 2018. + practicing self control to break unhealthy habits. 2. Cultivate DIGNITY. The dictionary definition of dignity includes "the state or quality of being worthy of honor; a sense of pride in oneself or self respect; a composed or serious manner of style." When I think of cultivating dignity this year, the primary way is by practicing financial responsibility. I want to get out of credit card and personal debt, managing my money more wisely instead of stressing from paycheck to paycheck, as well as be able to adventure in the summers and give generously. Things begin with cultivating financial responsibility. Also, I want to make my work meaningful, which means preparing well, not overcommitting myself to good but unnecessary things, and approaching what commitments I do have prayerfully. + Reading Dave Ramsey's Total Money Make Over. + Beginning his 7 Baby Steps to Financial Freedom. + Use EveryDollar to track spending and Qapital to begin saving. + Prepare well at work, cutting out procrastination. + Honor what commitments I have and prayerfully limiting any I might add. 3. Cultivate LAUGHTER. It felt a little silly to include the dictionary definition of laughter, so instead I will share with you my definition of this word in the context of goal setting. When I think of laughter, I think of cultivating joy and gladness, taken from 2017's verse of the year, Isaiah 51:3. Joy makes me think of cultivating contentment, but also doing more of those things that fire me up. Gladness makes me think of savoring my season, digging into local community, and being a positive presence online. All of those things had been worked into my original list of 8 goals, so it seems fitting that they fall under the laughter category here. + scheduling things that bring me joy into my week. + cultivating contentment in my season, with my belongings, and when online. + blessing and encouraging others whenever possible. + digging into my local community. + doing more of what fires me up. + reading 52 books in 52 weeks. Voila! Ohh, it feels strange and scary and exciting to only have three goals this year! Honestly, I think simplifying it to three categories will set me up for more success in goal setting than I've ever experienced. At least that's what I'm hoping. You'll notice that I included a couple of numbered goals in there, too, namely reading 52 books in 52 weeks and taking 100 Orange Theory classes. I wanted to be sure to include my book challenge, bringing it down from last year's 75 books (missed it by 10!) since reading is one of those things that both fires me up and inspires me creatively. I also added the 100 classes goal as a non-scale-victory in the category of physical strength. Instead of saying X number of pounds lost, making myself dependent on the scale to see if I've been making improvements, a class count will mean that I have been utilizing my somewhat pricey gym membership and after 100 classes I can almost guarantee to see a difference in strength! Both of these things excite me very much. 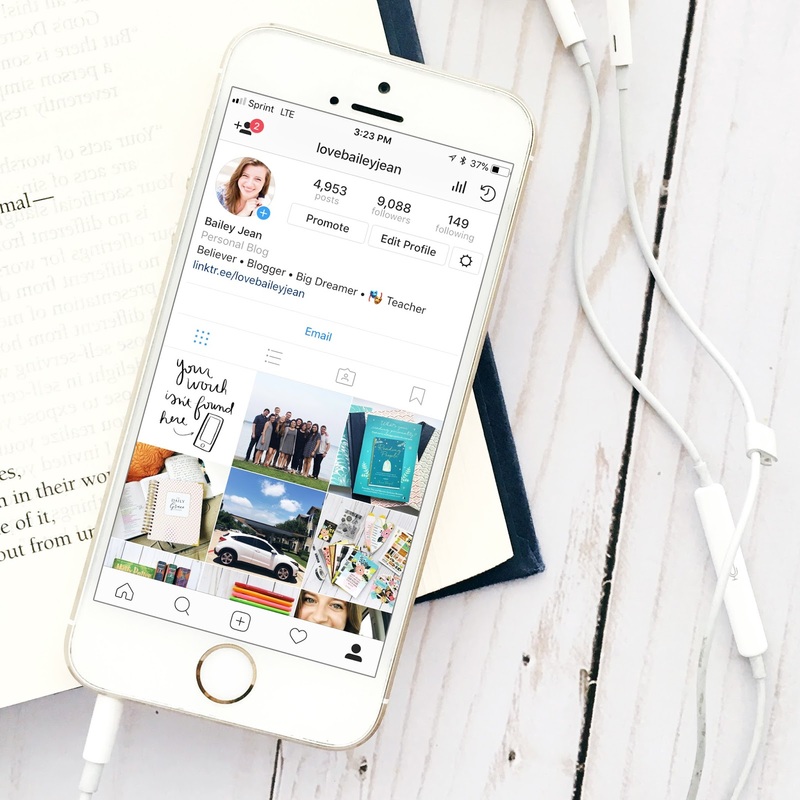 How do you plan to make what matters happen in 2018? The internet is a funny thing, isn't it? A still relatively new resource, it has consumed our daily lives and dependencies like rapid fire, and while a blooming garden of inspiration and encouragement, it can just as quickly turn into a black hole that strips us of time, confidence, and contentment. Don't get me wrong, I love it and am deeply grateful for it, but in the first half of 2017 I found myself hurtling through the time warp rather than strolling down the garden path. Returning from a month of travels, phone in hand, wrist aching as a clear sign of over-attachment, it was finally time. If I'm being honest, I felt the pull to step away from the internet last May, and I didn't do it until August. Even then, I didn't do it perfectly. I spent the last two months ghosting (glancing on line, scrolling without posting or engaging), willing away the time until I could jump back online. My "break" was hardly what I planned or expected. Even so, It wasn't a waste. And that sentence right there is evidence of a heart shift that's happening. It's still a work in progress, but there's forward movement. I'm a perfectionist. A procrastinator. A people-pleaser. A pre-planner. I tout my affinity for pretty goal planning pages and checklists, while in reality I weigh myself down with guilt for things left unfinished or hurried at the last minute. I post framed prints of "Progress not Perfection" while running myself ragged with reprimands for mistakes, or throwing goals out the window entirely when the first smudge of ink smears the edge of the page. These last five months have shown me that I need a heavy dollop of grace atop the mess of my life, and they've taught me that the mess doesn't have to be shelved neatly (or shoved away in a closet) for growth or progress to be made. Yes, I'd love things tightly ordered. Yes, I'd love to tackle a project perfectly. Yes, I'd love to return to the internet with a laundry list of accomplishments and blessings. Yes, I'd love to say that I'm a completely changed woman and the internet is best left alone. But God taught me that He is at work in the mess. But God revealed that He is pleased by my faithfulness rather than my forced fruit. But God isn't a blessing vending machine and instead is a faithful, forgiving, fun-loving Father. But God did change me and God CAN use the internet to do so. But God didn't do it in the way I expected. It's true, I'm back on the internet and glad to be so. I'm excited to write and share and connect with all of you all over again. I stepped away for a while, and it was good for my soul, even though I "failed" the commitment more than once and scrolled away a day or two. I'm not entirely sure what's next, but I'm excited to see. 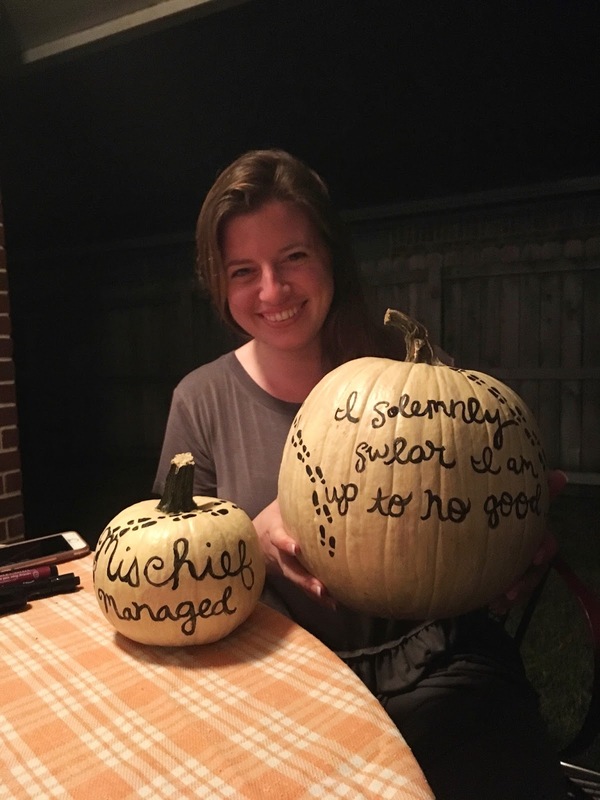 I'm excited to share, but I'm excited to keep some things close to my heart, too. I'm grateful for you who've cheered me on and stuck around. I'm thankful for you who are finding this space for the first time. I'm praying you see more of Jesus here than of me, and I'm anticipating a pretty big learning curve. I'm saying thanks in advance for the grace as I make a mess, and I pray we embrace the mess together. I've gone away, and I'm back again, and I can't wait to see what's up for us next.